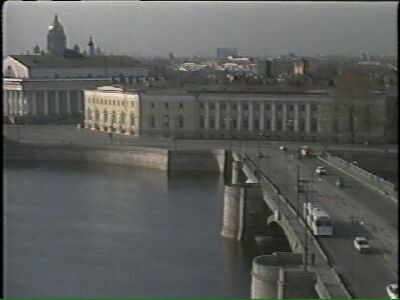 As Wade takes Bond to meet Zhukovsky, they pass the Exchange Building, currently Naval Museum. 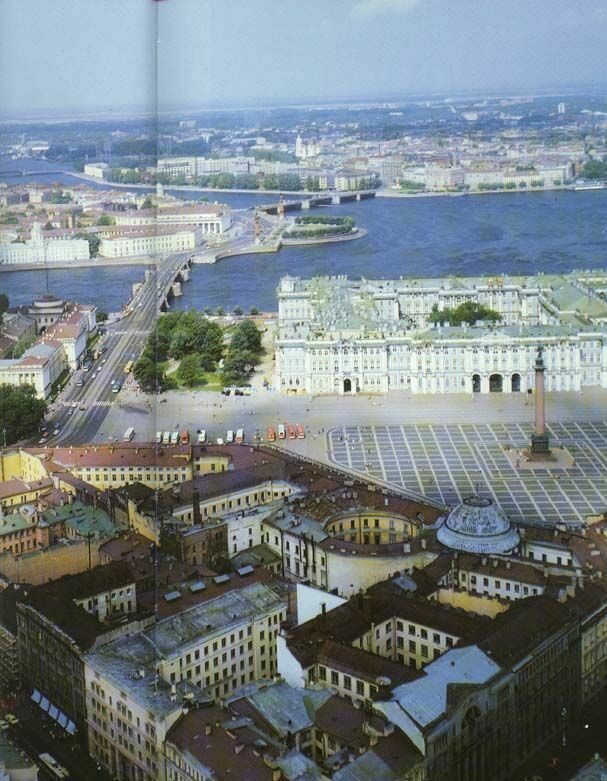 The Exchange Building is the one on the left, between the two bridges. Wade drives further away, past it and onto the second bridge. 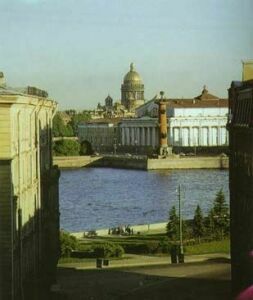 Another view of the same building; the cupola in the background belongs to St. Isaak Cathedral that makes numerous appearances in the tank chase.